" Media Matters says that “Hosts and guests smear and misrepresent Ocasio-Cortez’s agenda, caricaturing it while painting it as dangerous, far-left socialism”. The watchdog notes how Fox has repeatedly invalidated Ocasio-Cortez due to her age, calling her a little girl, yet claim she’s taken over the democratic party. I bet she’s great for ratings. Female, wants a living wage, attractive/charismatic, wants better healthcare for Americans and, most importantly, has that scary thing she calls herself. well, where is Trumpcare and why is the deficit exploding? Republican have never been good at governing they are always better chasing a boogyman. where is Trumpcare and why is the deficit exploding? According to fat donald, you’ll have to wait until after 2020. Amazing that a freshman Congresswoman, without any significant power is keeping the Fox News crowd awake at night. Hey, if you all are proud of Ocasio-Cortez then you should celebrate every time Fox mentions her. 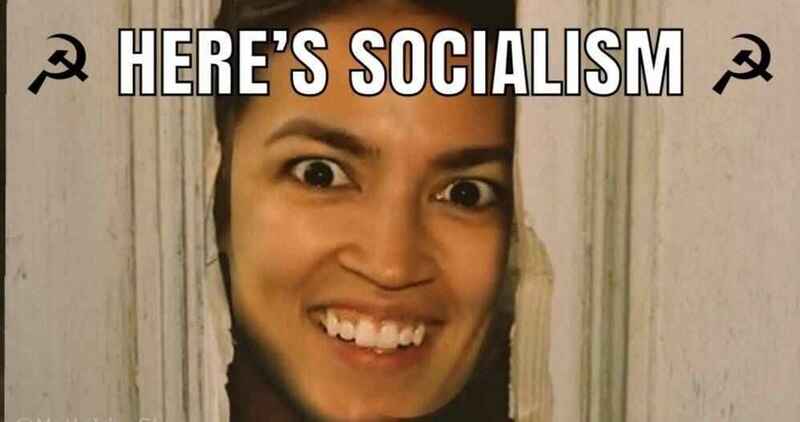 If you all are ashamed of Ocasio-Cortez then renounce her and the rest of the Democratic party would be free of any taint. If you all are neutral, then what the heck do you care how many times Fox mentions her. Media Matters needs to find a real issue. And MSNBC gave her a prime time town hall event on their network which is unprecedented for a freshman member of congress. Oh to have a Tardis and have the ability for Paul Keating to be able to debate with Fox News commentariat. He would have them all for breakfast. Did they mention her another 3180 times? You do realize that the vast number of conservatives and Republicans never cared if she danced or whatever. That was a liberal media myth. And your pic/meme is what, exactly?